I am still experimenting with the features but I am really excited about the potential. Photos can be tagged so that a user could sort to view only those tagged with Indians or transportation or schools. There are comments as well as captions so visitors to the site can add information. And you can export the album into Google Earth. I think it is possible to share a Picasa Web Album via a Google Group. The album would them become a wiki of historic photos taken by dozens of users throughout the area. And of course historic photos could be imported as well. Most of the programs are author interviews with academic historians--such as Gordon Wood discussing The Americanization of Benjamin Franklin or David Laskin on his book The Children’s Blizzard. There is a helpful topic index. Other programs are fascinating archival audio such as interviews with Langston Hughes and Marcus Garvey. I often add some of these interviews to the "readings" of my online classes to offer students a variety of media beyond the printed word. Though there are few programs that relate specifically to the northwest, there are western-themed programs such as Frank Schubert on the Buffalo Soldiers, Malcolm Rorhbaugh on the California Gold Rush, and Shepard Kretch on the Ecological Indian. This will be old news to most of the teachers and academics who visit this blog. But for new faculty, Daniel J. Solove at Concurring Opinions offers this Guide to Grading Exams. From the New York Times: Terrible Tillie, Where the Departed Rest Not Quite in Peace. 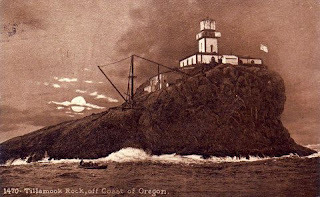 "Terrible Tilly" was the nickname for the lighthouse on Tillamook Rock off the Oregon coast. The lighthouse was built on a battered chunk of rock in the 1880s to warn ships as they approached the entrance of the Columbia River. Though ever-so-picturesque, the lighthouse was expensive and dangerous to maintain and was decommissioned in 1957. So what do you do with an abandoned lighthouse? Terrible Tilly went through a variety of hands until purchased in 1980 by Eternity At Sea Columbarium, a business venture that turned Tilly into a scenic final resting place where folks could pay up to $2500 to have their ashes stored for all eternity. Or until the outfit goes broke--as Eternity At Sea Columbarium seems to have done. Today Tillie's roof is leaking, some of the funeral urns are missing, and the lighthouse is apparently full of bird poop. That and dead people. Here is a fun one! Don Bain's Virtual Guidebooks: "This site features over 5000 of my VR panoramas. These amazing photographs show you exactly what it is like to be in a particular spot - you can look in any direction, all the way around. It's the next best thing to being there." You can navigate within each 360 view and even zoom with some intuitive controls. This is a great way to get a feel for places across the American west. These VR panoramas could be useful to the historian seeking that elusive sense of place, or to anyone planning a trip, or for a home sick north westerner stuck in Missouri (as a random example). For a quick tour of the northwest check out Fog in the Straits of Juan de Fuca, Diablo Lake Overlook, Silver Falls State Park, and Wheatlands Near Almota, Washington. Or make your own tour--you have 5000 destinations from which to choose. 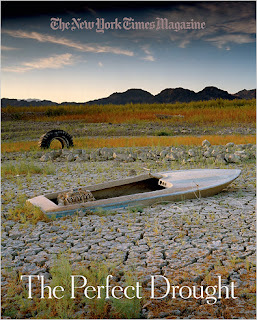 Scientists sometimes refer to the effect a hotter world will have on this country’s fresh water as the other water problem, because global warming more commonly evokes the specter of rising oceans submerging our great coastal cities. By comparison, the steady decrease in mountain snowpack — the loss of the deep accumulation of high-altitude winter snow that melts each spring to provide the American West with most of its water — seems to be a more modest worry. 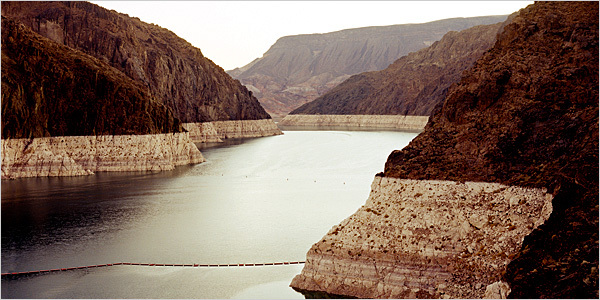 The article focused on the Colorado basin, but this Seattle Times piece suggests similar issues in the Columbia River basin of the Pacific Northwest. On the other hand the snow pack in the northwern Rockies was 25% over normal this year. Segregated Seattle: "For most of its history Seattle was a segregated city, as committed to white supremacy as any location in America . . . This special section presents research that will surprise many Pacific Northwesterners. " Segregated Seattle is part of The University of Washington's Seattle Civil Rights and Labor History Project. Created and maintained in part by students and members of the community, it is both a valuable historical resource and a nice example of collaborative teaching and community outreach using digital technology. The student Research Reports are quite good--see for example Nicole Grant's "Challenging Sexism at City Light: The Electrical Trades Trainee Program" and Heather McKimmie's "Quileute Independent and Quileute Chieftain, 1908-1910." The rich site also contains short films and slideshows, Activist Oral Histories, and a page where you can browse the site by time period or topic. There is much more--take a look! I am going to begin teaching my seminars and perhaps select upper-level courses this way. The trick will be to come up with the website and some basic templates before the course begins. I tried something like this last year, adopting the ideas in Michael Lewis' 2004 Environmental History article "Reflections: 'This Class Will Write a Book': An Experiment in Environmental History Pedagogy" to my own environmental history class. It was a mixed success--the course was small (5 students) and lacked the critical mass to develop much momentum. I am teaching Introduction to Local History in the spring and will try again. Oklahoma State University has put the entire Indian Claims Commission Decisions online. The ICC was established in 1946 by Congress to investigate the claims of Indian tribes against the United States. Tribes had five years to file claims that their treaty rights had been violated. The ICC would recommend compensation if appropriate, and the whole process would wrap up in ten years. The actual process proved much more difficult and controversial than anticipated, taking until 1978 to be completed. The government paid out a total of $800 million dollars in 285 cases. The reports, filled with expert testimony from historians, anthropologists, and native elders are a historical treasure trove. This digization makes the 43 bulky volumes keyword searchable and far easier to use than in the past. Many northwest peoples are represented in the collections, and some fun searches include "Chief Joseph" "Chief Moses" and "Spokane Garry." Original Sentence: "Chief Joseph and his followers did, in fact, move onto the Colville Reservation and the members of his band or the descendents thereof continued to reside on the reservation until the present date." - until the Fres at date." Fortunately the default display is not this OCR text but an easily-legible PDF of the original page. 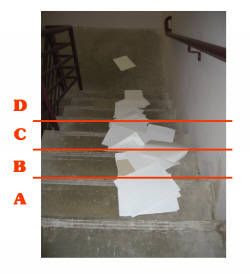 As with other PDFs you can print or save each document. 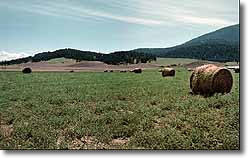 Lewis and Clark Trail Watch is the blog of Kathleen A. Dahl, an anthropologist at Eastern Oregon University. Dedicated to "how the Lewis and Clark Expedition has been interpreted" the focus on this blog might seem a bit narrow--and yet Dahl has come up with entertaining and interesting posts for 3 1/2 years now. Her most recent post is an excellent link to an Oregon Public Radio series on the Columbia River. The panel was well-received and I thought hung together very well--though Dee and I, by presenting similarly-themed papers, rather stole the show from poor Kevin, the hard-working graduate student who pulled the whole thing together. Let that be an object lesson to you, Kevin. I love the WHA and it was great to meet so many old friends, people whose work I admire, and bright young scholars doing exciting work. And I liked the new format of the meeting, with the awards at lunch and the evening banquet less stodgy. And above all it is good to see that the obnoxious Green River Knife tradition is gone forever. God that used to make me cringe! History blogging is delicate proposition. I typically look for a topic which is sufficient to fill 3-5 paragraphs with perhaps that many links. But what to do when a topic grows and grows as one composes the post? 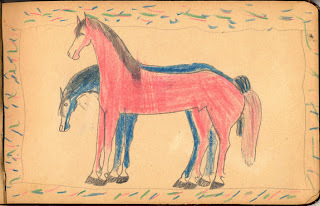 Such is the case with today's post on Native American Ledger Art. 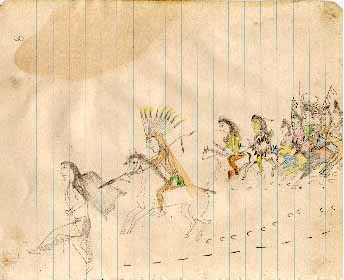 Ledger Art is a genre that comes out of the reservation and boarding school experience. American Indians took their traditions of stylized figure drawing as seen on petroglyphs and buffalo robe paintings and adapted them to the new mediums of ink, colored pencil and paper. Not a few of these early drawings were made on discarded ledger books, hence the name. The online Encyclopedia of Oklahoma History and Culture has a good entry on the form. 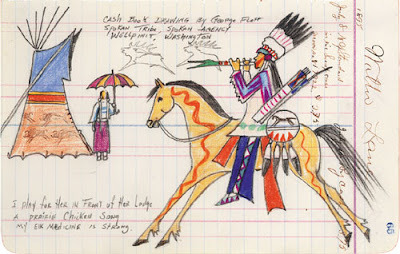 Ledger Art is usually associated with Plains Indians, but as we will see there are some compelling northwest examples as well. 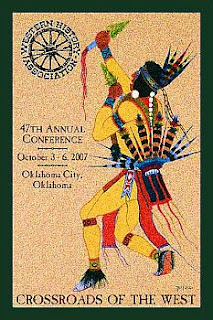 Ledger Art is well represented online--starting with the site Plains Indian Ledger Art. "This site is dedicated to presenting and and preserving Plains Indian "Ledger" art, drawings on paper, from the late 19th century for research and enjoyment." Not available online is this remarkable example of Nez Perce ledger art, recovered and interpreted by Scott Thompson, an art teacher at Chase Middle School in Spokane! Nice work Scott. In addition, the Massachusetts Historical Society offers glimpses at this Ledger Art book drawn by Making Medicine (Cheyenne). 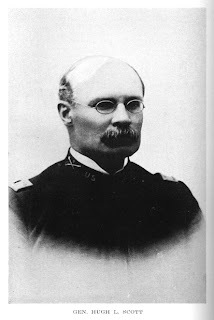 Making Medicine (1844-1931) had a long and astonishing life with experiences that ranged from fighting U.S. Cavalry to a student at and then a recruiter for Richard Henry Pratt's Carlisle School to serving as an Episcopal deacon in Oklahoma. And this particular ledger book was once owned by Francis Parkman! There is so much more out there, which you can Google as well as I. In 1930 the United States Department of the Interior held a conference in Browning, Montana for plains Indians to display their sign language so that it could be filmed for posterity. 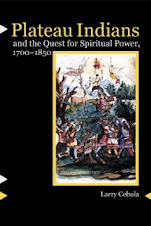 The conference was organized by General Hugh Lenox Scott at a cost of $5000 and is an ambitious example of salvage ethnography--the attempt to record the culture of a people thought to be on the verge of extinction. This fascination collection of film from the conference was placed on YouTube by Tommy Foley, "I have translated the direct literal meaning of the signs in this film to English. Though I have added a little more than the literal meaning in some cases when more was meant by the signer using space, position, combination of signs," writes Foley. The description also contains a link to his website, which is an intriguingly designed site but does not seem to contain any additional information. According to the short descriptions on YouTube accompanying some of the videos, General Scott filmed 300 signs, the start of a project that was to have reached 1300 signs but was never completed. General Scott is an interesting character in himself who combined a long military career with a lifelong interest in Indians. He graduated from West Point in 1876 and eventually served in the Seventh Cavalry, where one of his tasks was to mark the graves of Custer's men at Little Big Horn! Scott organized Indian troops, watched over an imprisoned Geronimo, served as a military attache to Smithsonian expeditions, was briefly a military governor of Cuba, battled freedom fighters in the Philippines, and was Chief of Staff of the United States Army as the country entered World War One. Scott was one of those nineteenth-century officers who took great interest in American Indians. Though I am usually skeptical when such men are referred to as "experts," in Scott's case it may have been true. 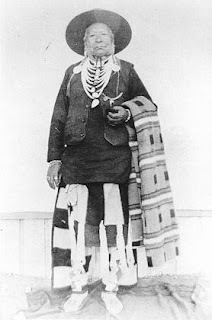 Scott's papers at the Library of Congress contain many stories he collected from the Kiowa, for example. Google Books has his autobiography--but since it was published in 1928 we only get the snippet view. A year earlier and we would have the whole thing!